Malta Fashion Week officially started last night with the Launch Party which alot of bloggers beauty and fashion, stylists, models, photographers and many more idols were invited to this big event at Medasia in Sliema. 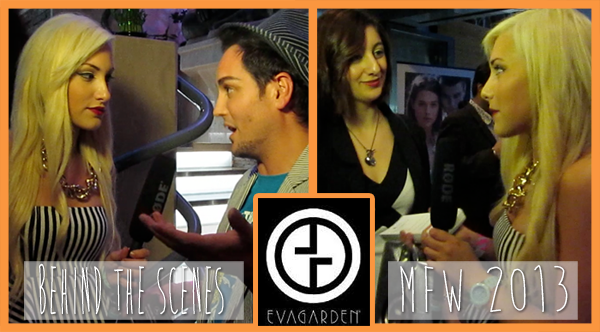 My night wasn't much of socializing yet I spent my night interviewing for Eva Garden Malta. I was their Beauty Blogger going round asking beauty related questions to the guests there. I suffer from a rash that unfortunately was present in the whole video when I get nervous, excited and anxious. I still cannot find a way to get rid of it but let's just say it was all over my arms and neck where you'd see red patches present. I was quite nervous but once you get into it and forget there is a microphone in your hand and a camera man shooting it's fine. I did stumble a couple of times but it's normal since I am not a "tv-presenter" at all. I pushed myself just being me. I interviewed a new Fashion Blogger, Fashion Stylist Caroline Paris, Model Nominee Valentina Rossi, Makeup Artist Nominee Justin Brincat, Founders of Eve.com.mt Daniel and Bert and many more. Martina from Allthingsfabulousblog was amazing as I asked her if she would take some footage for a behind the scenes for me to document and upload on youtube which you are able to watch above. I would like to thank Roberta and John from Biocare for this amazing opportunity and the Gorgeous Jean Pillow (ex - teacher) who recommended me for this mini task I was able to try and enjoy. Eva Garden Makeup is found at Biocare in Mosta if anyone is interested. HAVE YOU EVER TRIED EVA GARDEN?